The U.S. Court of Appeals for the Fifth Circuit has upheld multi-employer citations in its jurisdiction. 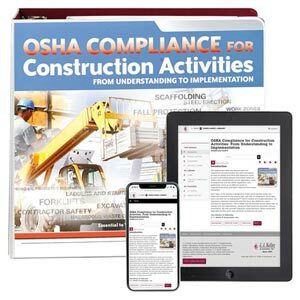 At issue was whether OSHA had authority to cite a general contractor at a multi-employer worksite for exposing contractors to hazardous conditions, even though the general contractor’s own employees were not exposed to the hazards. OSHA had issued citations against the contractor, who contested them. OSHA asked the Fifth Circuit to review the prior ruling due to more recent litigation and interpretations. The Fifth Circuit found in OSHA’s favor, essentially overturning its earlier precedent, stating a more recent Supreme Court decision allows OSHA to interpret an employer’s duty to protect all employees engaged in a common undertaking, so long as the law didn’t expressly prohibit it. J. J. Keller's OSHA Compliance for Construction Activities Manual explains complex Part 1926 regs in easy-to-understand language.